THEN Gomb cafe will use 20% of the total spent on reducing water usage, starting with changing to a low flow toilet. 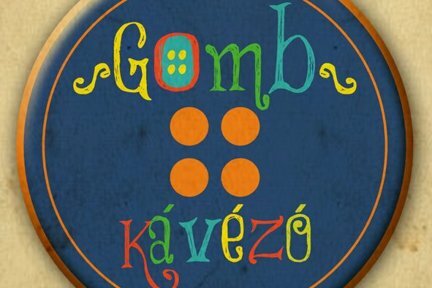 I have visited Gomb kávézó (cafe) at the corner of Ferenc square several times and found it a really awesome place. The first things that catch your eye are the millions of colorful buttons covering all the second-hand furniture. Although the place is relatively new, the owner Juli put lots of energy into it by creating a cozy cafe with really friendly atmosphere. But the bathroom has a lavish toilet wasting litres of water unnecessarily every time it is used. 2. Our country, Hungary has a huge water footprint. So, that was the point when I made a decision on initiating a Carrotmob to push the cafe to get more serious about water. If you anyway planned to drink a coffee, a tea or home-made syrup, taste one of the sandwiches or home-made cookies, I kindly ask you to do that in Gomb cafe on 1st of February, 2013. They do have other things to try: nice soups, products from local farmers' market, plus delicious, fresh and warm croissants as well. Every Wednesday afternoon (from 3 pm to 6 pm) and on the day of the Carrotmob, there is a seamstress taking care of your clothing if it needs a basic intervention from a professional seamstress - of course, for free. Help this local business of Ferencváros district in Budapest to reduce its water footprint! Spead the word and join us on the 1st of February, 2013 in Budapest! In case money is not enough for realizing all the 3, then they will start with the low flow toilet. The changing table will realized only, when there is money left after changing the toilet. etc. Mini Water Festival is to educate and motivate customers to reduce their own local footprint, too.